Listen Up! will debut June 11th at 2pm EST on G-Town Radio. Hear the show live or check back to this page for the playlist and archived streams of previously aired programs as well as posts of interest to listeners of the show. 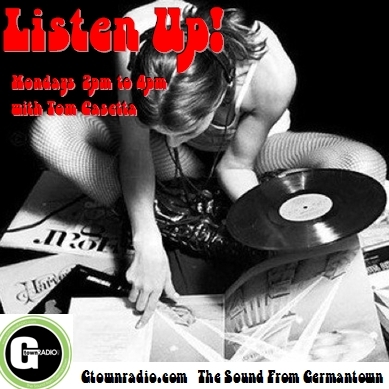 Return every Monday from 2pm to 4pm and join the enigmatic, music savant Tom Casetta as he guides you through the labyrinth of rock music (and beyond) , shining a beacon on the unsung, should-be-sung, and will-be-sung recordings that clutter the maze’s dusty corridors that crisscross time and continents. Listen Up! Also like the show on Facebook and/or follow this blog to stay informed.